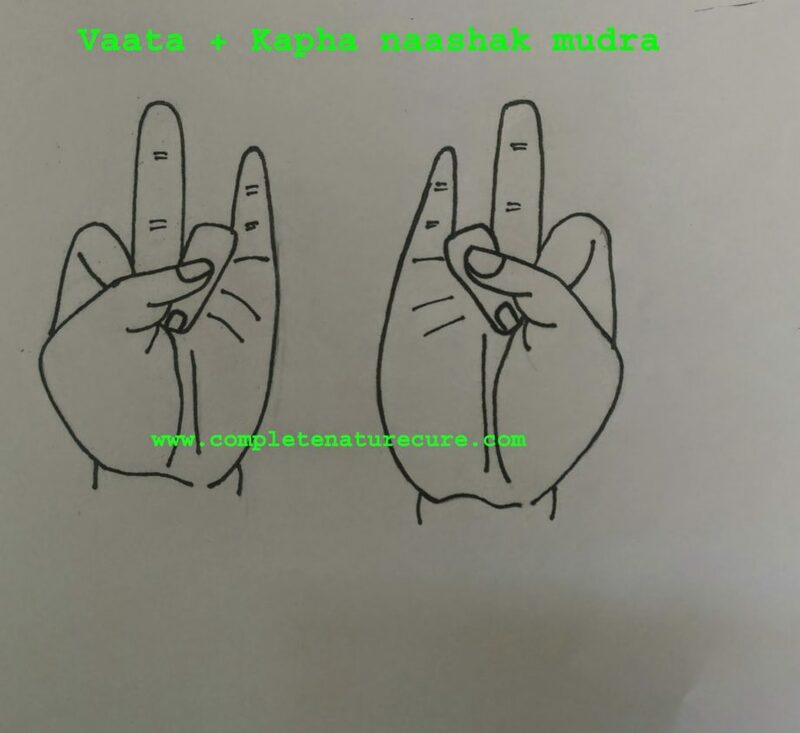 This mudra helps to overcome any ailment of a person having a Vaata+Kapha mix constitution. 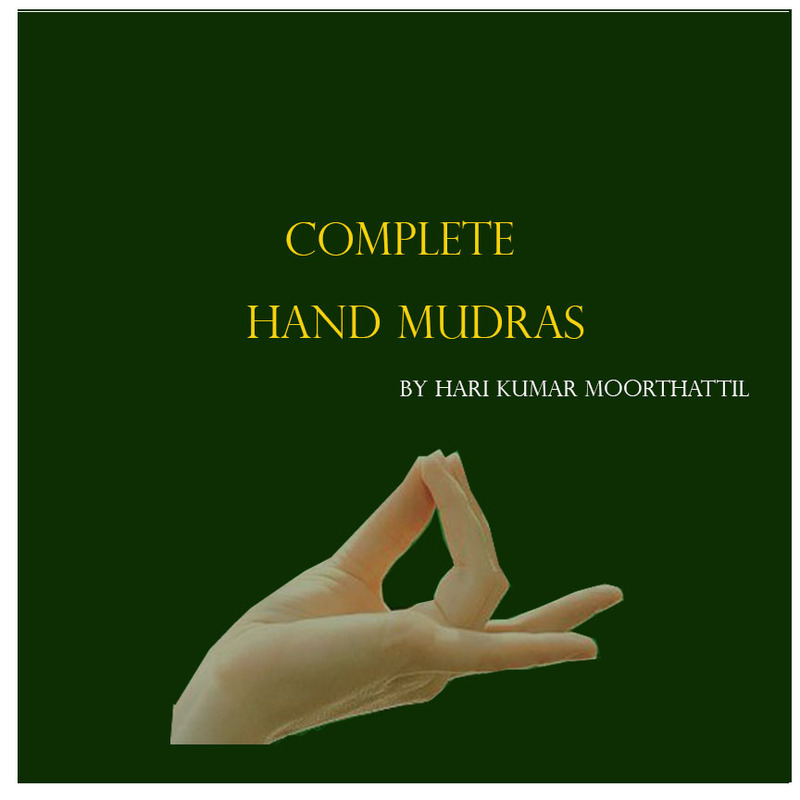 This mudra Is formed by applying the tips of the index and the ring fingers to the base of the thumb. 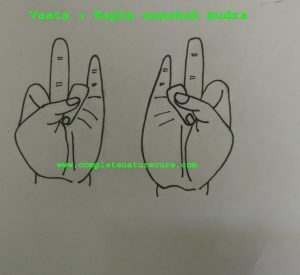 Precaution: People with a pronounced Pitta constitution should practice this mudra in moderation if at all.